Ferrero Rocher is opening a pop-up dessert-only restaurant at Westfield London in White City to run from 1st - 17th December 2017. Tickets cost £27, and for this you get a tasting menu of 5 delicious mini desserts, each one inspired by a layer of Ferrero Rocher, for example smooth chocolate or crisp wafer. There will also be a choice of 5 cocktails (or mocktails - under 16s are allowed if accompanied) and there will be a special Ferrero Rocher shop too. Excellent! 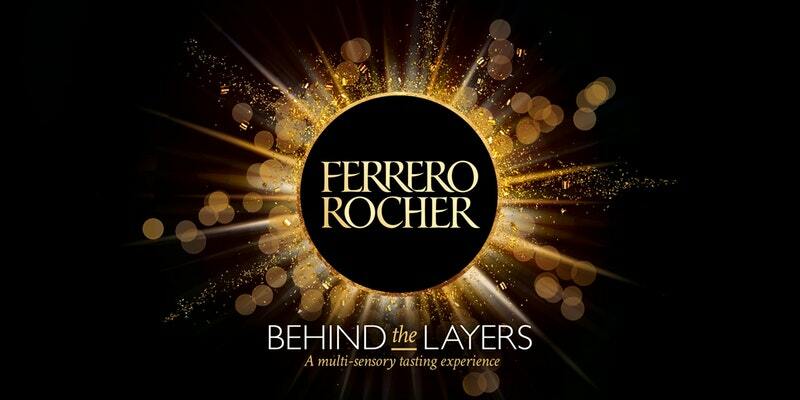 "Popping up in Westfield London this December, Ferrero Rocher: Behind the Layers is a multi-sensory tasting experience that takes you on a journey deep into the heart of Ferrero Rocher. Celebrated chef Paul Hannegan is back, with a brand-new tasting menu of five delicious mini desserts. Each one is inspired by an iconic layer of Ferrero Rocher: whole hazelnut, smooth chocolate, crisp wafer, hazelnut pieces or sparkling gold. Your tasting experience takes place in a spectacular setting, where powerful light projections, music, motion and more will enrich every exquisite mouthful. But that’s not all – you can continue your Ferrero Rocher: Behind the Layers experience in our luxurious lounge, where you’ll enjoy your choice of five elegant cocktails (and mocktails) created and artfully served by our master mixologists.You’ll also be able to buy Ferrero Rocher from our on-site shop, beautifully presented with personalised calligraphy labels handwritten in front of you. Book your Ferrero Rocher: Behind the Layers experience online today, or simply walk in to enjoy the bar. Please note, children under the age of 16 must be accompanied by an adult. ID may be requested"